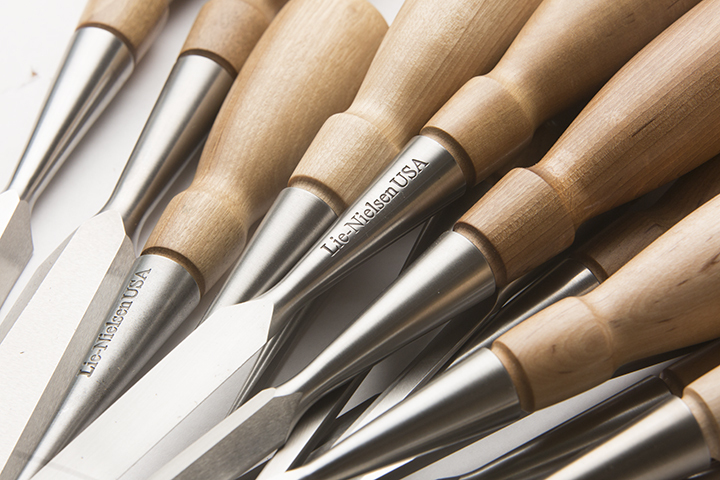 Based on the Stanley 750 Bevel Edge Socket Chisels, our Bevel Edge Chisels have excellent balance and are particularly comfortable in the hand. The edges are square, parallel along the length, and very narrow, so you can get into tight places. They are made of A2 Tool Steel, hardened to Rockwell 60-62, cryogenically treated and double tempered. Maine-harvested Hornbeam handles. Overall length is approximately 9". Available in the following sizes: 1/8", 3/16", 1/4", 5/16", 3/8", 7/16", 1/2", 5/8", 3/4", 7/8", and 1".